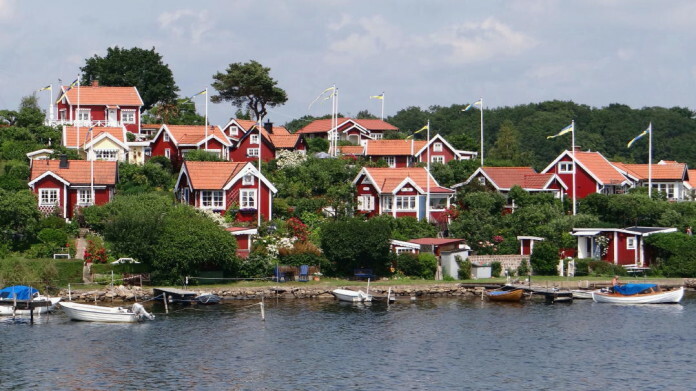 Besides the well-known and popular regions like Småland, Dalarna and Bohuslän there are some smaller provinces in Sweden. They are less well-known but nevertheless real gems, for example Dalsland, Närke (Örebro) and Blekinge. When Sweden was a major European power in the 17th century, Blekinge had a tremendous strategic importance in the Baltic region. From here, ships sailed across the Baltic Sea to the towns on the coast of Germany, which were then occupied by Sweden: Stralsund, Wismar, Greifswald, and Warnemünde. Two Swedish kings, both named Karl, realised the importance of Blekinge. Today they are considered to be city founders and namesakes in the history books: Karl X Gustav founded Karlshamn in the west, and Karl XI founded Karlskrona in the east. The Naval Museum in Karlskrona reflects the military importance that these ports once had. It is part of the museum network of Sweden’s Military Heritage. Karlskrona is also a World Heritage Site. Blekinge is also known for the old spa Ronneby Brunn. Today there is the large Ronneby Brunn spa hotel with a widely used conference centre and a beautiful park. On the coast is Sölvesborg with its narrow alleys, a church from the 13th century, and Europe’s longest pedestrian bridge. Karlshamn is a charming coastal town. Here, you can find a monument of Karl Oskar and Kristina, the two protagonists in the novel “The Emigrants” by Vilhelm Moberg, who started their long journey to America in 1850 from Karlshamn. When you are driving on the E22 motorway, you should make a short detour to the south and visit the coast. There you can find white sand beaches and protected parks with tall pines and reserves, such as Eriksberg. In some places the E22 leads close to the shore so that you can catch a glimpse of the sea from your car. From Karlskrona there are excursion boats to the archipelago which lies in front of the harbour. Out here on inhabited islands or barren islets you can find inviting beaches and bathing spots. The hinterland is dominated by dark coniferous plantations and beech forests. Here, the fields are productive. There is a great deal of farming, and small farm shops and farm cafés have emerged in recent years, as elsewhere in Sweden. The main town is Olofström, considered to be the “southernmost wilderness in Scandinavia”. The fish-rich waters of Blekinge are very popular with anglers, especially the river Mörrumsån, which has salmon and other types of fish.